Vivo has launched Vivo Apex 2019 smartphone with high-end features and unique pattern compare to other current smartphones in the market. Vivo Apex 2019 mobile phone has showcased with no ports or volume rocker buttons etc., its whole display also has fingerprint unlock, so, the owner can open the cell phone by touching anywhere on the screen, and no particular place on the display to unlock it. 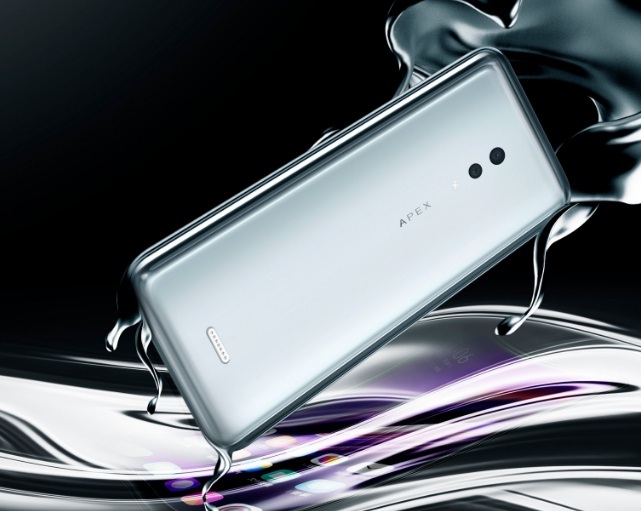 This is one of the innovative smartphones in 2019 and the same was done last year by the brand upon introducing APEX features. Other than the above mentioned, the phone also comes with magnetic charger at the rear. This is one of the new feature at the moment. Vivo Apex 2019 designed with glass body and futuristic device. Another great feature in this phone is, the subject gadget comes with Zero hole speaker. If you are interested to know Vivo Apex 2019 phone's key features, technical specification, price, first impression, unboxing, comparison, review and hands-on etc. then you could find some of them over here very soon. Tips: One of the latest and innovative smartphones in 2019.